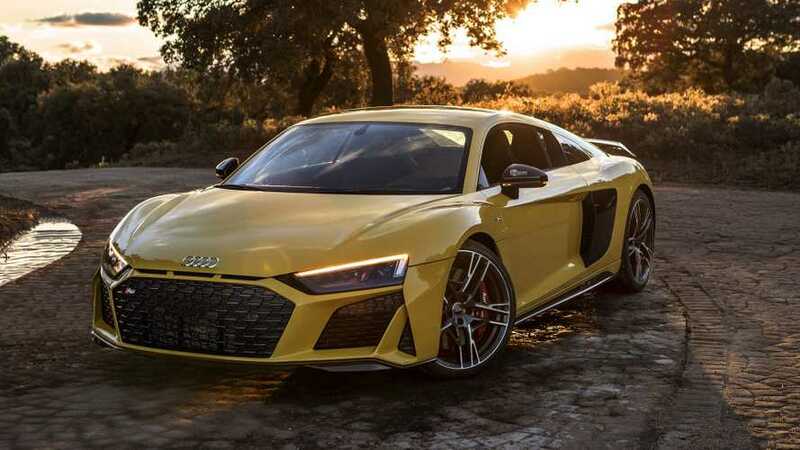 The Most Desirable Supercar According To Google Is ... An Audi? We start this look at the world’s most desirable supercars by asking a very important question. Is there any supercar that’s not desirable? Admittedly there a few we can think of that are less desirable than others, but given a chance to own a supercar versus a humdrum daily-driver hatchback, we can’t think any vehicle that wouldn’t qualify. Yes, that even includes the Ferrari Mondial. There’s a bit of irony in that statement because the list we’re featuring here doesn’t include any Ferrari. It gets better, because the five vehicles on the list all stem from the same manufacturer group – one known for building humdrum (and admittedly some awesome) hatchbacks. Of course, we’re talking about Volkswagen, which holds ownership of some rather spiffy niche automakers including Audi, Bugatti, and Lamborghini. And according to an intriguing list from Veygo.com, those three brands are best of the best. We’ll talk more about the method behind the madness in a bit. Bugatti holds station near the top, with the Chiron and Veyron claiming second and third spot in the survey. Lamborghini scores points with the Aventador in fourth and the insanely limited-production Veneno making the top five. Other notable vehicles that didn’t make the cut but were very close include the McLaren 675LT, Ford GT, and Ferrari 458. Perhaps the biggest surprise of all, however, is the vehicle holding the number one position. We don’t have anything bad to say about the Audi R8 – it’s an exceptional machine with outstanding performance, and it’s considered by many to be the best everyday supercar on the market. But is it really the most desirable supercar in the world? More desirable than the LaFerrari? Or a Koenigsegg? Or a Pagani Huayra? To understand what’s going on here, you need to understand the methodology of the list. It encompasses the entire world and includes vehicles built within the last 10 years. However, it’s based not on direct feedback from people, but by Google search terms from specific regions. 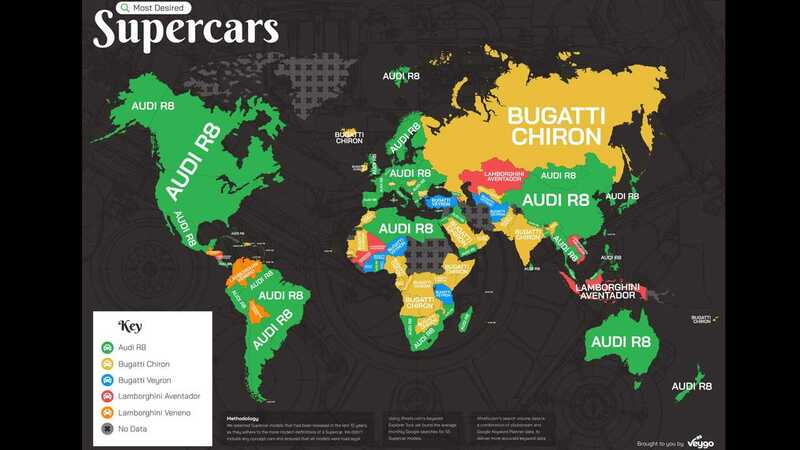 Using a keyword tool from Ahrefs.com, Veygo determined that Audi R8 was the top search in 95 out of 169 countries, including the United States and pretty much every country – including Italy – in Europe. 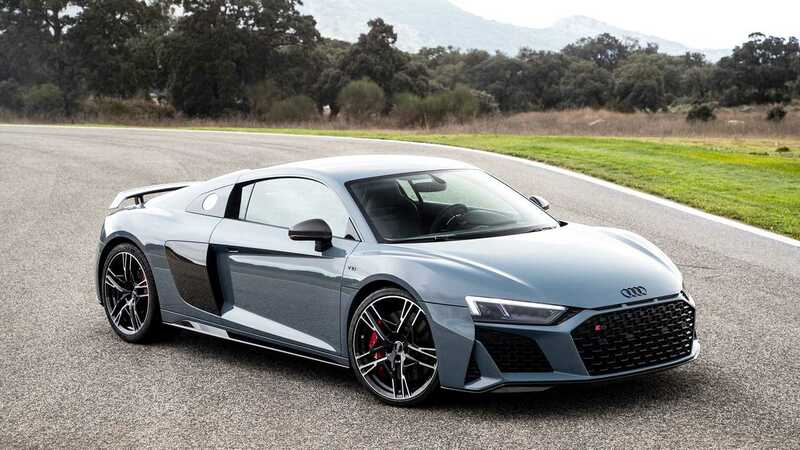 In the eye of Google, then, the Audi R8 is the most desired supercar in the world. In reality, we suspect it’s the one most accessible to the masses, hence why it's searched like crazy. Jump over to Veygo.com for the full info on the report.